Campbells Guest House v Leicester, Anglie: Zarezervujte nyní! Close to The King Power Stadium [LCFC] and Welford Road Leicester Tigers Stadium - The De Monfort University and the Royal Infirmary. Close to the Narlborough Road with its many shops and eating places. Food shopping is easy with Iceland, The Co-Op, Sainsbury's Local and Tesco all close by. Easy to access from the local station, 10 mins by car. The closest airport is Leeds Bradford International Airport . 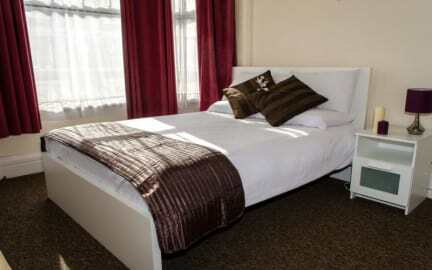 At Campbells Guest House we provide in all our rooms coffee and tea maker facilities, towels and toiletries. 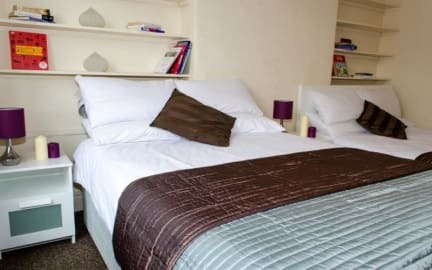 We offer a range of rooms, with private or shared bathroom facilities. Enjoy garden view from some of our rooms. Payment upon arrival by credit cards, debit cards (Visa, Mastercard). Breakfast not included. We do not provide breakfast.